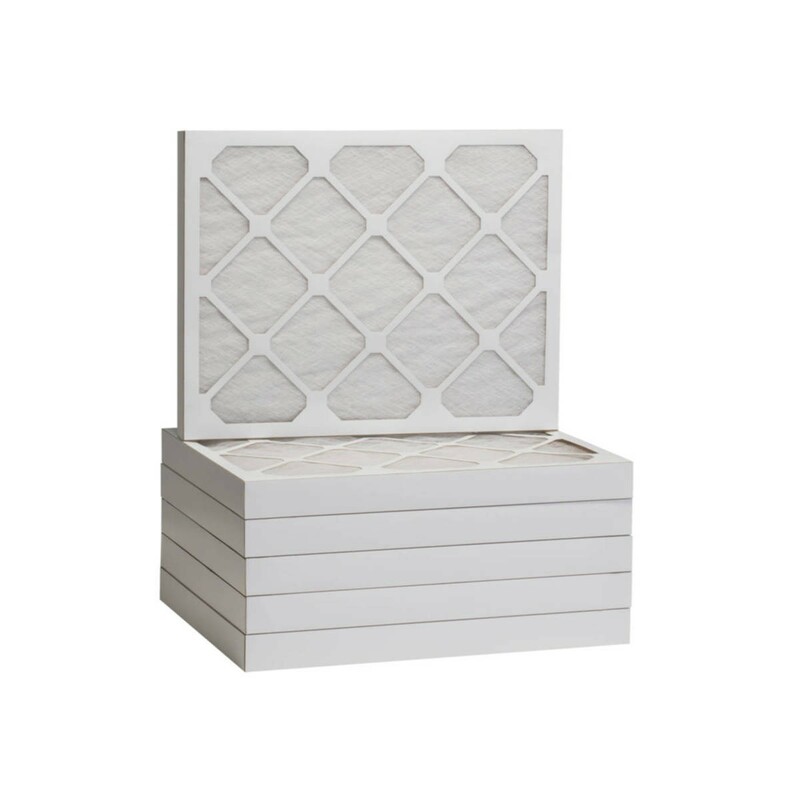 Tier1 12 x 16 x 2 air filters are constructed using a MERV 6, patented fiberglass and are encased in a partially recycled cardboard frame. While other brands of disposable air filters are made with sharp metal, the Tier1 Air Filters will not cut your hands. Perfect for commercial, industrial, and residential applications, these disposable filters are the highest quality, disposable, fiberglass air filters available in the market today. The Tier1 Air Filters provide equipment protection. Each air filter panel lasts up to one month depending on your air quality, and should be changed and disposed of regularly. The Tier1 Fiberglass Air Filters have low initial pressure loss. Made of environmentally friendly components, these air filters provide an eco-friendly filtration solution. The Tier1 MERV 6 Air Filters provide significantly higher filtration efficiencies because of the high quality filtration media and extended surface construction. Water based adhesives contain no volatile organic compounds (VOCs). Since the media is 100% synthetic, it does not require antimicrobial chemicals to eliminate support for microbial growth. These air filters are environmentally friendly because the media is free of ink, dyes, resin, and contains no adhesives, binders, chemicals or additives. Use of water based adhesives containing no volatile organic compounds (VOCs), and minimum use of ink on the perimeter of the filter, make these air filters eco-friendly. 6-pack of air filters.